The Society hotspot is marked 38 on the map. 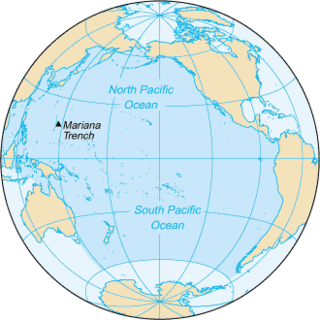 The Society hotspot is a volcanic hotspot located in the Pacific Ocean, and is responsible for the creation of the Society Islands. The Society Islands are an archipelago located in the South Pacific Ocean. Politically, they are part of French Polynesia, an overseas collectivity of France. Geographically, they form part of Polynesia. Palmer Land is the portion of the Antarctic Peninsula, Antarctica that lies south of a line joining Cape Jeremy and Cape Agassiz. 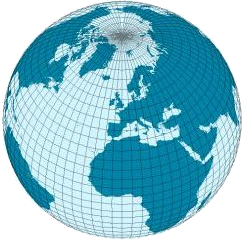 This application of Palmer Land is consistent with the 1964 agreement between US-ACAN and UK-APC, in which the name Antarctic Peninsula was approved for the major peninsula of Antarctica, and the names Graham Land and Palmer Land for the northern and southern portions, respectively. The line dividing them is roughly 69 degrees south. Berbinzana is a town and municipality located in the province and autonomous community of Navarre, in northern Spain. German submarine U-533 was a Type IXC/40 U-boat of Nazi Germany's Kriegsmarine during World War II. The submarine was laid down on 17 February 1942 at the Deutsche Werft yard at Hamburg as yard number 351, launched on 11 September 1942 and commissioned on 25 November 1942 under the command of Kapitänleutnant Helmut Hennig. After training with the 4th U-boat Flotilla in the Baltic Sea, U-533 was transferred to the 10th flotilla for front-line service on 1 May 1943. Zújar is a municipality located in the province of Granada, Spain. According to the 2005 census (INE), the city has a population of 2746 inhabitants. Clarés de Ribota is a municipality located in the province of Zaragoza, Aragon, Spain. According to the 2004 census (INE), the municipality has a population of 101 inhabitants. Port Anson is a town in the Canadian province of Newfoundland and Labrador. The town had a population of 130 in 2016, down from 155 in the Canada 2006 Census. Iguaraci is a city in the state of Pernambuco, Brazil. The population in 2009, according with IBGE was 11.387 inhabitants and the total area is 838.12 km². The municipality, has one of the best children's mortality rate (5.7) of all state and, one of the best in Brazil. Ribeira do Pombal is a municipality in the state of Bahia in the North-East region of Brazil. Oltárc is a village in Zala County, Hungary. Clark Ridge is a prominent rock ridge, 4 nautical miles (7 km) long, located 4 nautical miles west of Mount Lowry in the Anderson Hills in the northern Patuxent Range, Pensacola Mountains. It was mapped by the United States Geological Survey from surveys and from U.S. Navy air photos, 1956–66. It was named by the Advisory Committee on Antarctic Names for Larry Clark, cook at Plateau Station, winter 1967. Warren Nunatak is a nunatak located 4 nautical miles (7 km) east of Mount Capley, along the east side of the Nimbus Hills in the Heritage Range. Mapped by United States Geological Survey (USGS) from surveys and U.S. Navy air photos, 1961-66. Named by Advisory Committee on Antarctic Names (US-ACAN) for Arthur D. Warren, auroral scientist at Ellsworth Station in 1958. Holst Point is a point at the head of Beascochea Bay which divides it into two arms, on the west coast of Graham Land, Antarctica. It was first charted by the British Graham Land Expedition under John Rymill, 1934–37, and was named by the UK Antarctic Place-Names Committee in 1959 for Axel Holst, a Norwegian biochemist who in 1907, with Theodor C.B. Frølich, first produced experimental scurvy and laid the foundations for later work on vitamins. Mount Reece is a sharp, ice-free peak in the Antarctic Peninsula, 1,085 m, standing 4 nautical miles (7 km) west of Pitt Point and 3 km southeast of Skakavitsa Peak. It is the second highest point of Kondofrey Heights forming the south wall of Victory Glacier on the south side of Trinity Peninsula. Charted in 1945 by the Falkland Islands Dependencies Survey (FIDS) and named for Alan Reece, leader of the FIDS Deception Island base in 1945, and meteorologist and geologist at the Hope Bay base in 1946. Reece, a member of the Norwegian-British-Swedish Antarctic Expedition (NBSAE), 1949–52, was killed in an airplane accident in the Canadian Arctic in 1960. Cape Leguillou is a point which forms the northern tip of Tower Island, at the northeast end of the Palmer Archipelago, Antarctica. It was charted by a French expedition under Captain Jules Dumont d'Urville, 1837–40, and named by him for Élie Le Guillou, a surgeon on the expedition ship Zélée. The name form approved is in agreement with the charts of the d'Urville expedition and has been consistently used since that time. Afon Alaw was a four-masted sailing ship which served from 1891 until 1918. She had a sister ship, Afon Cefni. Afon Alaw was built by Alexander Stephen and Sons at their yard in Glasgow for Hughes & Co based at Menai Bridge in Anglesey. The vessel was named for a river in Anglesey. The vessel remained in British service until 1915, moving between three owners before being sold to a Norwegian company which renamed the vessel Storebror. Norway was neutral during World War I, however the German surface raider SMS Wolf did not want its position known and sank Storebror on 4 January 1918 to prevent the Norwegian ship from disclosing it.